This rinse is used to remove buildup and create softness and shine. It is one that I have already tested and approved many times. So get it on right away! Very cheap and easy to do. 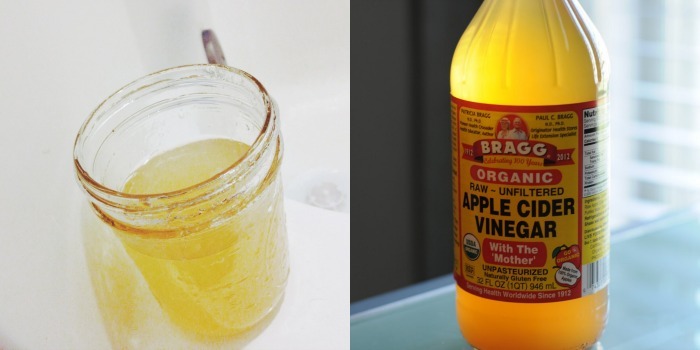 Remember how I also use apple cider vinegar toner? This stuff is used for so many purposes! For best results do this mask 1 -2 times a week as desired. 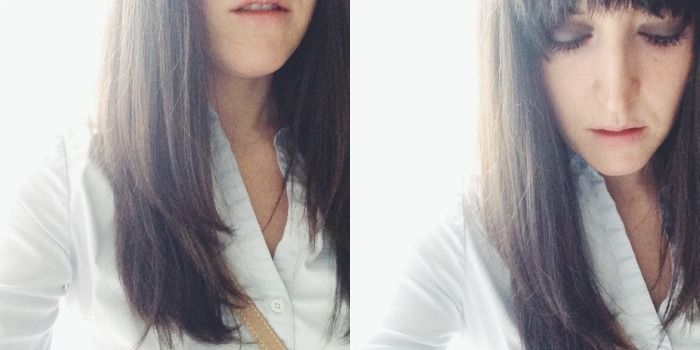 Directions —> Pour onto hair following your shampoo (or use a spray bottle). If you pour like I do just make sure to close your eyes in case it finds its way there. BURN CITY! Work it through the scalp then rinse with water. No need to use conditioner! I have found the smell goes away after I dry my hair. This mask is also another one that uses common ingredients which could also be used as a face mask- bonus! The olive oil helps to moisturize and nourish the hair. It is rich in Vitamin E and hydrates dry hair while strengthening the ends. The honey is another great moisturizer. It locks in moisture and aids in keeping the scalp healthy due to its antibacterial and antioxidant properties. Mix equal parts olive oil and honey in a small bowl. 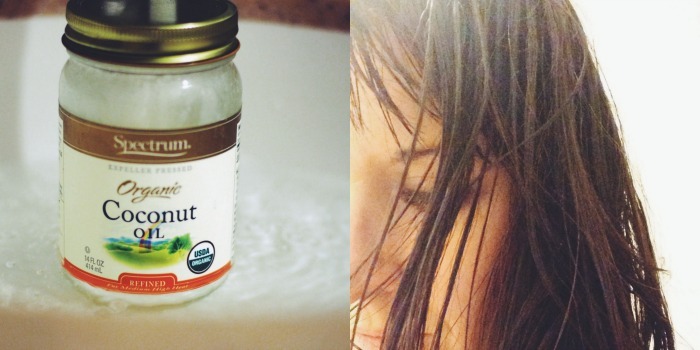 Directions —> Wet hair (as it makes mixing this mask into hair easier). Rub mixture all over hair and wrap your hair in a warm towel for 15- 30 minutes. Wash hair as normal but eliminate your conditioner. For an extra bonus throw in some mashed avocado to this mask. 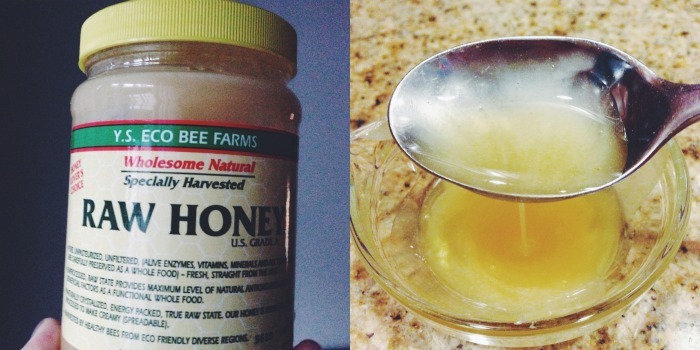 This mask just smells so good and is so easy! We talked about some of the health reasons why we love coconut oil here. It is one of the beauty industry’s best kept secrets. It gives both skin and hair a beautiful rich and shiny luster. The other advantage of using coconut oil as a conditioner is that it helps control dandruff. Directions —> Cover all of your dry hair (scalp to ends) in coconut oil that you have rubbed together in your hands. Clip hair to the top of your head and cover with a shower cap and/or hot towel like this. Leave in 30-40 minutes then wash out (2 washes helps get it all out). With all three of these masks I found that my hair had increased shine, softness, and silkiness. It styled much easier and I found myself running my hands through it all day because it felt so good. I recommend trying these. It’s a fun salon day in the comfort of your home and super dirt cheap. Invite the girls over and make it a night or take some “me time” and try these hair masks while taking a long warm bath. Hope you enjoy! I speculate some of you have tried some of these. If so, which ones and do you have any other hair masks to share with us in the comments?